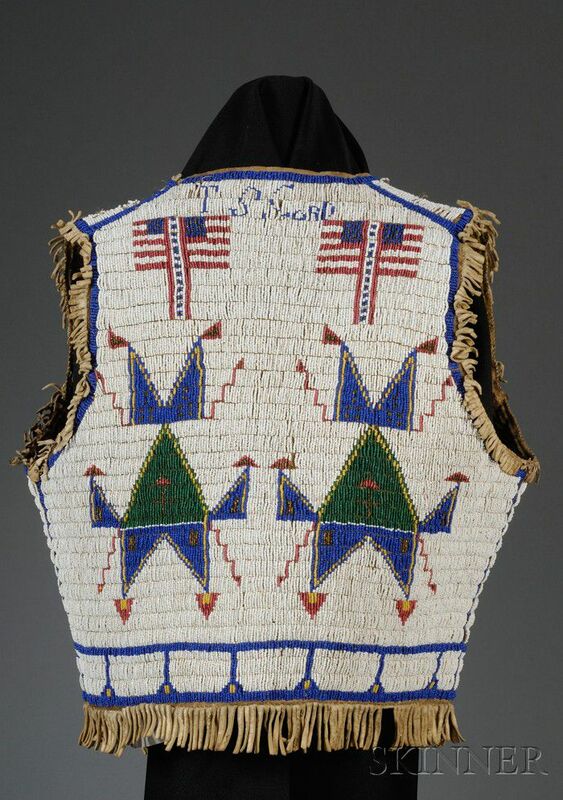 Central Plains Fully Beaded Hide Vest, Lakota, c. late 19th century, with multicolored geometric and five-point star designs on front, the back with four American flags, the name "T.S. 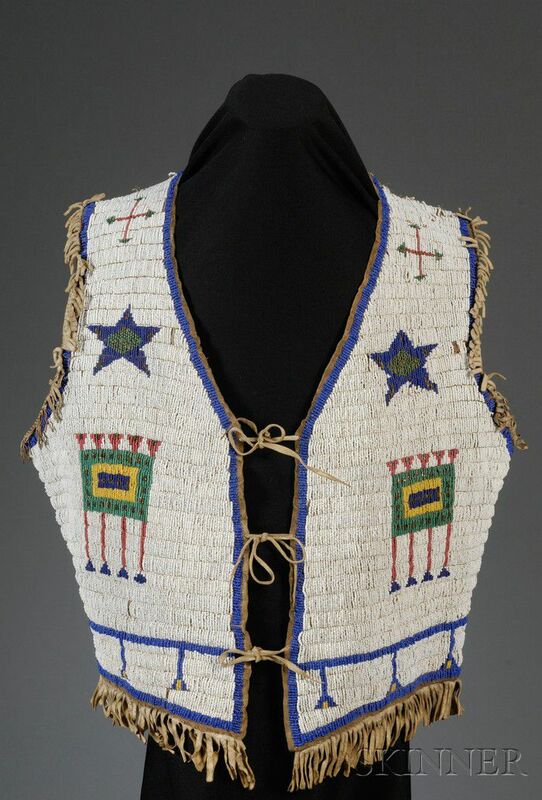 Cord" (? 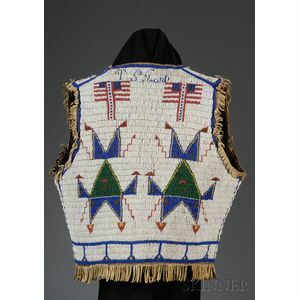 ), and geometric designs on a white background, short fringe around the edges, repair at shoulder, (bead loss), 18 x 18 in.